A familiar phrase to many Belizeans but I read those words for the first time yesterday in a new book entitled “Belizean Storytime” by Sherlet Neal Lopez. We’ve lived in Belize for 7 years yet there are many cultural sayings and nuances in language that we have yet to learn. 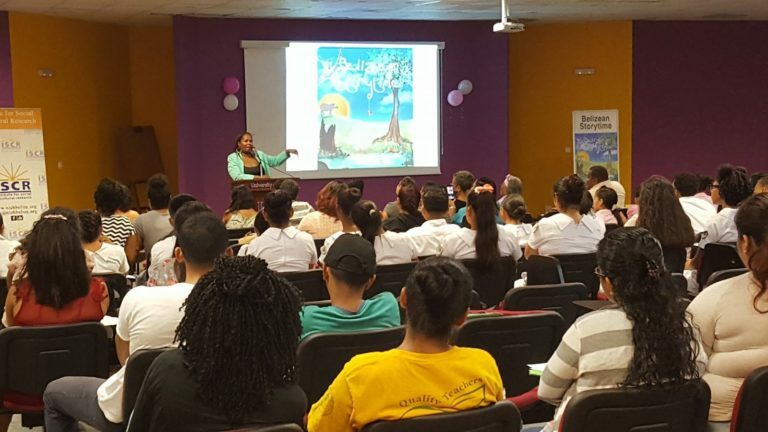 Written in Kriol and English this book is aimed at restoring the art of storytelling in Belize. As a lover of words and stories this book satisfies my heart and brings joy to my soul. Mercy, how true is that word of wisdom? It applies itself in so many real life situations. What I eat today shows in my health tomorrow. How I treat someone today shows up in my reputation tomorrow. How I study today shows up in my knowledge of the material tomorrow. Woven throughout the book are life lessons, some practical, some spiritual, some moral. As I went to bed last night the last thing on my mind was the story about Anansi going to church just to get free food. How often do we go to church to ‘get’ and not to ‘give’? He went through the motions just because he was hungry. 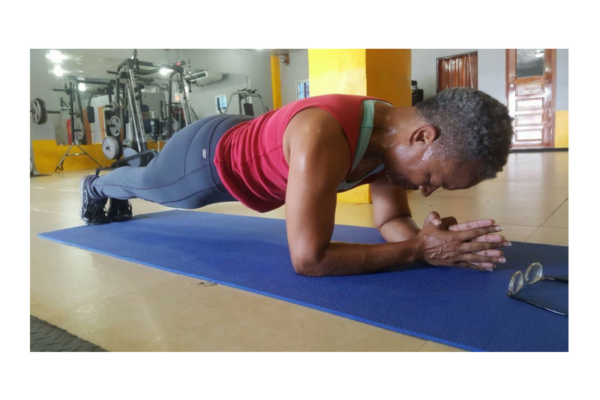 We go to a church service or a prayer meeting to get a breakthrough, or maybe because we seek relief from physical or emotional pain, or need help with our financial difficulties. But when was the last time we went just to give God praise? To serve in a way that points others toward Him? Or to be a blessing to someone else in need? Isn’t it amazing when a powerful spiritual insight smacks you on the head in the form of a short story?! I read an article the other day that said the average person spends 19 minutes a day reading. I was shocked! It seems like half of my childhood summers were spent in the top of a tree reading Little House on the Prairie. Thirty years ago on bedrest with my oldest child I read and re-read the Chronicles of Narnia. And now each night the last thing I do before going to sleep is to read a chapter or two of the latest book I’ve downloaded onto my Kindle. We need writers that will provoke us to read again. 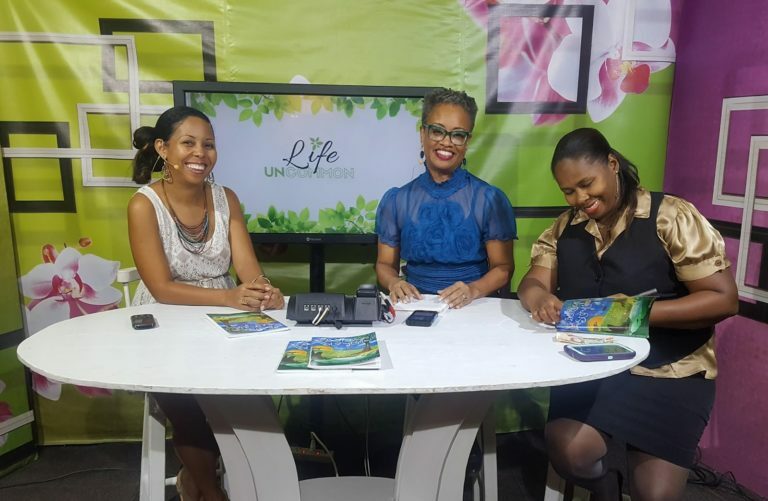 Belize is fortunate to have an author who has risen to the challenge to put pen to paper in order to provide stories able to inspire a nation to read. I’m so grateful to have been present at Sherlet’s book launch today. 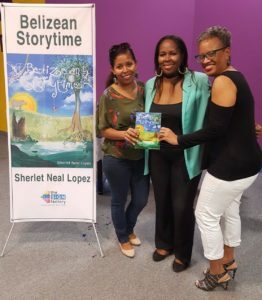 And I hope you’ll be on the lookout for your copy of Belizean Storytime!